Native Shawls, Paintings and Prints! “ Agwamo” Anishinaabe for ‘She Floats on Water’. This woman this making her plea to the Ancestors to inspire her creation of the regalia she will wear. 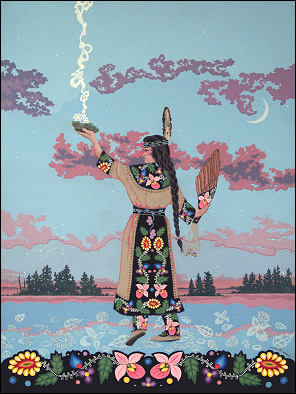 Some of the design elements can be seen in the smudge she is holding. 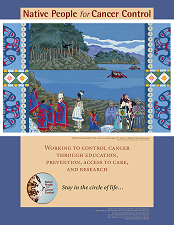 Many honors to the Anishinaabe People who inspired this work. This item is available. Image size: 31″ x 21″, acrylic on Arches Watercolor Paper, UV sealed.